WASHINGTON, March 19 (KUNA) -- Saudi Crown Prince Mohammad Bin Salman Al-Saud said Sunday in his first interview with an American television network, "today, Saudi women still have not received their full rights." In an interview with "60 Minutes" Prince Mohammad said "there are rights stipulated in Islam that they still don't have. We have come a very long way and have a short way to go." Moreover, when asked if women are equal to men, the Crown Prince affirmed "absolutely. We are all human beings and there is no difference. "We are working on an initiative, which we will launch in the near future, to introduce regulations ensuring equal pay for men and women," he noted. He added, "Today, driving schools have been established and will open soon. In a few months, women will drive in Saudi Arabia. We are finally over that painful period that we cannot justify." 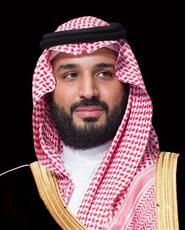 Prince Mohammad Bin Salman said, "Saudi Arabia believes in many of the principles of human rights. In fact, we believe in the notion of human rights, but ultimately Saudi standards are not the same as American standards. "I don't want to say that we don't have shortcomings. We certainly do. But naturally, we are working to mend these shortcomings," he noted. On the anti-corruption sweep last November, Prince Mohammad said, "what we did in Saudi Arabia was extremely necessary. All actions taken were in accordance with existing and published laws." As for the amount of money collected, he indicated "the amount exceeds USD 100 billion, but the real objective was not this amount or any other amount. The idea is not to get money, but to punish the corrupt and send a clear signal that whoever engages in corrupt deals will face the law." Regarding the war in Yemen, he noted, "the Iranian ideology penetrated some parts of Yemen. During that time, this militia was conducting military maneuvers right next to our borders and positioning missiles at our borders. "I can't imagine that the United States will accept one day to have a militia in Mexico launching missiles on Washington D.C., New York and LA while Americans are watching these missiles and doing nothing," he remarked.